This is a reading list for Slow Cinema aficionados. I will update the list regularly and by all means it may not be exhaustive. This is a start, and there’s more to come! 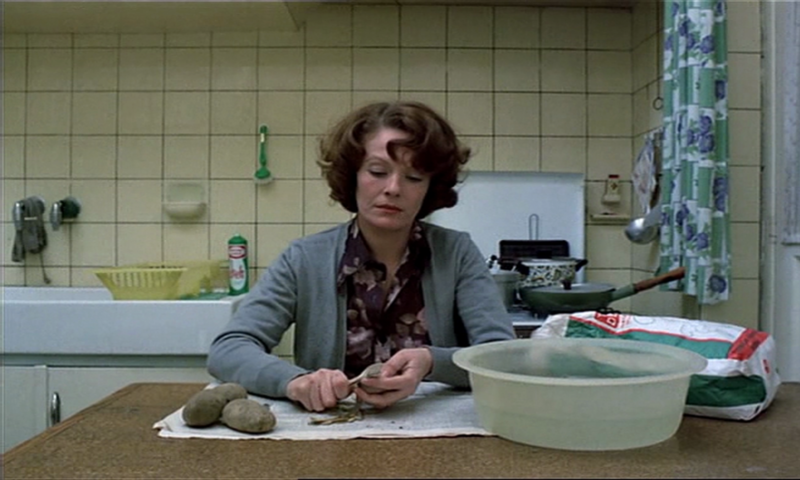 Akerman, C. (2004) Autoportrait en cinéaste. Paris: Centre Pompidou. Akerman, C. (2013) Ma mère rit. Paris: Mercure de France. Arnheim R. (1993) From Pleasure to Contemplation. The Journal of Aesthetics and Art Criticism 51: 195-197. Aveni A. (1995) Empires of Time – Calendars, Clocks & Culture, New York: Kodansha America. Bacher L. (1978) The Mobile Mise-en-scène – A critical analysis of the theory and the practice of the long-take camera movement in the narrative film, New York: Arno Press. Bal M. (2000) Sticky images: the foreshortening of time in an art of duration. In: Gill CB (ed) Time and the Image. Manchester: Manchester University Press, 79-99. Barradas Jorge N (2012) ‘Slow Cinema’: between artistic expression and commercial expectations. MeCCSA-PGN Conference. Loughborough University, UK, 17-18 September 2012. Baskar N (2007) Poetic post-mortem: Death in the Land of Encantos. Baumgärtel T. (2007) Lav Diaz: “Digital is liberation theology.”. Bertolin P (2007 ) (On) Time: Lav’s (R)Evolution. Bíro Y (2008) Turbulence and flow in film – The rhythmic design. Bloomington: Indiana University Press. Bjerkem B (2013) Apichatpong Weerasethakul: Photophobia. Oslo: Transnational Arts Production. Boer J (2015) As slow as possible: An enquiry into the redeeming power of boredom for slow film viewers. Unpublished Paper, University of Groningen, Netherlands. Bordeleau E (2009) Disappearing with Tsai Ming-Liang. In: Neri C and Gormley G (eds) Taiwan Cinema / Le Cinéma taiwanais. Lyon: Asiexpo Edition, pp.232-246. Bordeleau E (2012) The care for opacity: on Tsai Ming-Liang’s conservative filmic gesture. NECSUS European Journal of Media Studies 2. Bordun T (2013) In defense of love: Tsai Ming-liang’s The Hole and The Wayward Cloud. In: Decadence/Decay, The Carleton Art History Graduate Student’s Society Conference. Carleton University, Canada, 9-10 March 2013. Bordwell D (2011) Good and good for you. In: David Bordwell’s website on cinema. Bould, M. (2018). “Dulltopia – On the Dystopian Impulses of Slow Cinema.” Retrieved 28 January, 2018, from http://bostonreview.net/literature-culture/mark-bould-dulltopia. Çağlayan OE (2014) Screening boredom: the history and aesthetics of Slow Cinema. PhD thesis, University of Kent, UK. Carpio JP (2010a) The Auteurs CINÉMA 21 Project: An Interview with Lav Diaz Part 1 of 3. Carpio JP (2010b) The Auteurs CINÉMA 21 Project: An Interview with Lav Diaz Part 2 of 3. Carpio JP (2010b) The Auteurs CINÉMA 21 Project: An Interview with Lav Diaz Part 3 of 3. Carpio JP (2012) No end in sight: Q&A with Lav Diaz. Chan A (2007) Béla Tarr’s sound images: cinema of proximity. Chaudhuri S and Finn H (1994) The open image: poetic realism and the New Iranian Cinema. In: Dissanayake W (ed) Colonialism and nationalism in Asian Cinema. Bloomington: Indiana University Press, pp.163-181. Chow L (2006) What Time Now? – Catching up hours in Tsai Ming-liang. Ciment M. (2003) The State of Cinema. Cipolla CM. (1967) Clocks and Culture, 1300-1700, London: Collins. De Luca T (2014) Realism of the senses in World Cinema – The experience of physical reality. London, New York: I.B. Tauris. Diaz L (2002) The aesthetic challenge of Batang West Side. Diaz L (2008) Our death, in memoriam. Kino! 2/3. Diaz, L (2014) Interviewed by Nadin Mai, Locarno Film Festival, 10 August. Didi-Huberman, G. (2001) Génie du non-lieu. Paris: Minuit. Doane MA (2002) The emergence of cinematic time – Modernity, contingency, the archive. Cambridge: Harvard University Press. Falgui R (2008) An epic death in the land of Encantos. Ferrari M (2006) Mysterious objects of knowledge: An interpretation of three feature films by Apichatpong Weerasethakul in terms of the ethnographic paradigm. Masters Dissertation, Ohio University, USA. Fiant A. (2014) Pour un cinéma contemporain soustractif, Rennes: Press Universitaires de Vincennes. Flanagan M (2008) Towards an aesthetic of slow in contemporary cinema. 16:9 29 (1). Flanagan M (2009) “The style’s function”: narration in Béla Tarr’s Sátántángo. In: Unspoken Cinema. Flanagan M (2012) Slow Cinema: temporality and style in contemporary art and experimental Film. PhD thesis, University of Exeter, UK. Flores PD (2012) The long take: passage as form in the Philippine film. Forum Kritika: 70-89. Furtado F (2014) Time is the greatest struggle – A conversation with Lav Diaz. Geißler K. (2012) Alles hat seine Zeit, nur ich hab keine – Wege in eine neue Zeitkultur, München: oekom. Gioni M and Carrion-Murayari G (2011) Apichatpong Weerasethakul – Primitive. New York: New Museum of Contemporary Art. Grob N, Kiefer B, Mauer R, and Rauscher, J (2009) Kino des Minimalismus. Mainz: Ventil Verlag. Guarneri M (2010) “Exploitation is never cool to me”: the anti-feudal cinema, interview to Lav Diaz. La Furia Umana 9. Guarneri M (2013) Militant elegy – A Conversation with Lav Diaz. La Furia Umana 17. Guarneri M (2014) The burden of history. A conversation with Lav Diaz. La Furia Umana 21. Guarneri M (2016) Philippines Year Zero. Débordements. Hetzenauer B (2013) Das Innen im Aussen – Béla Tarr, Jacques Lacan und der Blick. Berlin, Köln: Alexander Verlag. Horton A (1997) The films of Theo Angelopoulos: a cinema of contemplation. Princeton, New Jersey: Princeton University Press. Ikuko N. (1997) The `Civilization’ of Time: Japan and the Adoption of the Western Time System. Time & Society 6: 237-259. Ingawanij MA and MacDonald RL (2006) Blissfully whose? Jungle pleasures, ultra-modernist cinema and the cosmopolitan Thai auteur. New Cinemas: Journal of Contemporary Film 4 (1): 37-54. Ingawanij, MA, Graiwoot C, Wiwat L and Tioseco A (2009) Lav Diaz in Conversation. Lumen (September). Ingawanij MA (2012) Dialectics of independence. In: Ingawanij MA and McKay B (eds) Glimpses of freedom – Independent cinema in Southeast Asia. Ithaca, New York: Southeast Asia Program Publications, pp.1-14. Jaffe I (2014) Slow Movies: countering the cinema of action. New York: Columbia University Press. Johnston I (2009) Seeking order in disorder: Béla Tarr’s Werckmeister Harmonies. In: Unspoken Journal. Jorge NB. (2012) ‘Slow Cinema’: between artistic expression and commercial expectations. MeCCSA-PGN. Loughborough University, Loughborough. Kenji I (2013) Lav Diaz: Lifting the veil on the monster filmmaker from the Philippines. Kim J-H (2010) Between auditorium and gallery: Perception in Apichatpong Weerasethakul’s films and installations. In: Galt R and Schoonover K (eds) Global art cinema: New theories and histories. Oxford: Oxford University Press, pp.125-141. Kim J-H (2011) Learning about time: An Interview with Apichatpong Weerasethakul. Film Quarterly 64 (4): 48-52. Kitamura K. (2012) With Grain: Q&A with Apichatpong Weerasethakul. Koepnick L (2014) On slowness – Toward an aesthetic of the contemporary. New York: Columbia University Press. Kovacs AB. (2009) Béla Tarr and Ágnes Hranitzky in Conversation. Kovács AB (2013) The cinema of Béla Tarr: the circle closes. New York: Columbia University Press. Kramer GM. (2015) Tsai Ming-liang: creationg, bathrooms and Buddhism. Kristeva J. (1993) Proust and The Sense of Time, London: Faber and Faber Limited. Landes D. (1983) Revolution in Time – Clocks and the making of the modern world, London: Viking. Libbrecht U. (1996) Chinese concepts of time: Yu-Chou as space-time. In: Tiemersma D and Oosterling HAF (eds) Time and Temporality in Intercultural Perspetive. Amsterdam: Rodopi, 75-92. Lim SH (2014) Tsai Ming-liang and a cinema of slowness. Honolulu: University of Hawaii Press. Littman S (2014) The long take as a reaction to the past in contemporary Romanian cinema. Senses of Cinema 71. Lovatt P (2013) ‘Every drop of my blood sings our song. There can you hear it?’: Haptic sound and embodied memory in the films of Apichatpong Weerasethakul. The New Soundtrack 3 (1): 61-79. Ma J (2010) Melancholy drift – Marking time in Chinese cinema. Hong Kong: Hong Kong University Press. Maerkle A (2014) Living with art. Mai, N (2016) Slow Burn: Nadin Mai interviews Lav Diaz (for Guernica Magazine). Margulies I (1996) Nothing happens – Chantal Akerman’s hyperrealist everyday. Durham, London: Duke University Press. Martin, T. a. S., Woo. (2018). “An Antidote for a Distracted Age: Very Long Ads Where Not Much Happens.” Retrieved 28 January, 2018, from https://www.wsj.com/articles/an-antidote-for-a-distracted-age-very-long-ads-where-not-much-happens-1516985068?mod=searchresults&page=1&pos=1#comments_sector. Maury, C. & Rollet, S (2016) Béla Tarr: De la colère au tourment. Crisnée,Le Kremlin Bicêtre: Yellow Now. McKibbin T (2012) Off the map of deliberation. Morgan J (2004) Time after time. In: Morgan J and Muir G (eds) Time zones – Recent film and video. London: Tate Publishing, pp.14-27. Mroz M (2012) Temporality and film analysis. Edinburgh: Edinburgh University Press. Muir G. (2004) Chronochromie. Time Zones – Recent Film and Video. London: Tate Publishing, 36-50. Museum in Progress (2002) Symposium “Speed and Slowness”. Osborne P. (2004) Distracted Reception: Time, Art and Technology. In: Morgan J and Muir G (eds) Time Zones. London: Tate Publishing, 66-75. Outers, J.-L. (2016). “Chantal Akerman, filmer ce qui n’est plus.” TRAFFIC 97 (Printemps 2016): 63-71. Picard A (2012) Film/Art | Beware of the Jollibee: A correspondence with Lav Diaz. Cinema Scope 51. Radden G. (2011) Spatial time in the West and the East. In: Brdar M, Omazic M, Takac VP, et al. (eds) Space and Time in Language. Frankfurt: Peter Lang, 1-40. Raidel E (2011) Subversive Realitäten: die Filme des Tsai Ming-Liang. Marburg: Schüren Verlag. Rancière J (2011) Béla Tarr, le temps d’après. Nantes: Capricci Editions. Remes J. (2015) Motion(less) Pictures – The Cinema of Stasis, New York: Columbia University Press. Rivière O (2004) Tsai Ming-liang. Paris: Dis Voir. Romney J (2004) They’re Art, for goodness’ sake, not Cheeseburgers! Independent on Sunday (London). 10 October, 20-21. Romney J (2010) In search of lost time. Sight&Sound 20 (2). London: BFI, 43-44. Røssaak E (2010) The still/moving image: cinema and the arts. Saarbrücken: Lambert Publishing. Schlosser E (2000) Interview with Béla Tarr: About Werckmeister Harmonies (Cannes 2000, Director’s Fortnight). Bright Lights Film Journal. Schoonover K (2012) Wastrels of time: Slow Cinema’s laboring body, the political spectator, and the queer. Framework: The Journal of Cinema and Media 53 (1): 65-78. Seo H (2003) The shock of boredom: the aesthetics of absence, futility, and bliss in moving images. PhD thesis, Northwestern University, USA. Shaviro S. (2010) Slow Cinema Vs Fast Films. Strausz L. (2009) The Politics of Style in Miklós Jancsó’s The Red and The White and The Lord’s Lantern in Budapest. Film Quarterly 62: 41-47. Sutton D (2009) Photography, cinema, memory – The crystal image of time. Minneapolis, London: University of Minnesota Press. Tairako T. (1996) Time and Temporality from a Japanese perspective. In: Tiemersma D and Oosterling HAF (eds) Time and Temporality in Intercultural Perspective. Amsterdam: Rodopi, 93-104. Tatarska A (2013) Lav Diaz: patiently seeking redemption. Teh D (2011) Itinerant cinema – The social surrealism of Apichatpong Weerasethakul. Third Text 25 (5): 595-609. Tioseco A (2008 ) Ebolusyon ng Isang Pamilyang Pilipino (Evolution of a Filipino Family) – Evolution of a Filipino Film. Tioseco A (2006) A conversation with Lav Diaz – Ebolusyon ng Isang Pamilyang Pilipino. Tioseco A (2012) Like the body and the soul: Independence and aesthetics in contemporary Philippine cinema. In: Ingawanij MA and McKay B (eds) Glimpses of freedom – Independent cinema in Southeast Asia. New York: Cornell Southeast Asia Program Publications, pp.183-193. Totaro D (2002) Sátántangó: and then there was darkness. Offscreen 6. Tsuji Y. (2006) Railway Time and Rubber Time: The paradox in the Japanese conception of time. Time & Society 15: 177-195. Tuttle H (2007) (Technical) Minimum profile. In: Unspoken Cinema. Wee B (2005) The decade of living dangerously: A chronicle from Lav Diaz. Senses Of Cinema 34. Willey J (2009) Cinematic absence: an analysis of Tsai Ming-liang’s “Goodbye Dragon Inn”. Saarbrücken: VDM Verlag. Wollen P (2000) Time in video and film art. In: Capellazzo A (ed) Making time: considering time as a material in contemporary video and film. Palm Beach, Fla.: Palm Beach Institute of Contemporary Art, pp.7-13. Zhang L. (2009) Collecting the ashes of time: The temporality and materiality of industrial ruins in Wang Bing’s West of the Tracks. Asian Cinema 20: pp. 16‐34.